Anticipation was high for Love at the Bottom of the Sea because of its much publicized return to synths. After trying different things for the past three albums, The Magnetic Fields are back to the sound for which they’ve became known. So what does it sound like? 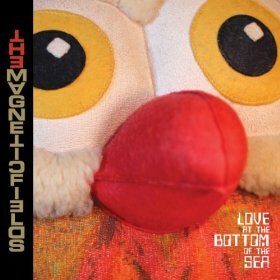 The Magnetic Fields were never a traditional synth-pop band and this album is no different. Synths are layered against a variety of of other instruments, creating a sound that’s all their own. The big exception to this is “Infatuation (With Your Gyration),” which is a pretty spot-on Devo impersonation.